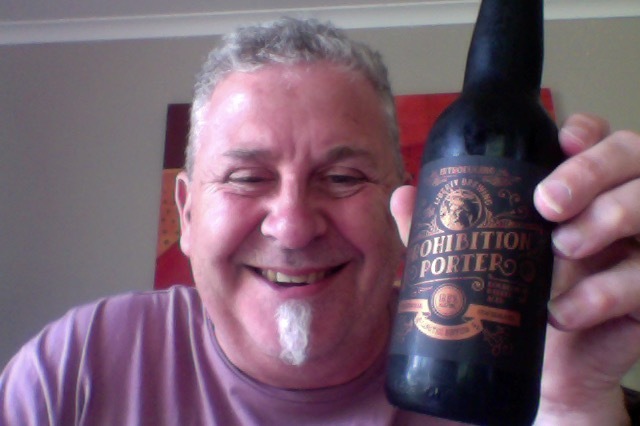 Liberty Prohibition Porter is an annual beer, and one that I look forward to. This is one of the beers that brought be back to wanting to blog about beers, and it’s been in the fridge for too long. And there’s never a bad time to have a Porter. Porter aged in Jack Daniels barrels. Spearheaded by pietistic religious denominations, prohibition of liquor and its dispensing saloons led to meek insipid bootlegged ales. To prevent this mediocrity reoccurring, Liberty has placed a constitutional ban on vapid watery suds. If you have a bad case of the ‘drys’ this mobilised ‘wet’ crusader will bring big alcohol and even bigger taste to your palate. Let the redolence emitting from the seasoned bourbon barrels enter your proboscis and take your cognitive being to a state of joyful equanimity. On opening this has a deep rich aroma of steeped fruits, it’s an aroma that brings back fond memories. Dark pour is like watching molasses, as it gloops into the glass with not much of a head forming. The Aroma fills out with chocolate like notes, raisins cherries.and perhaps vanilla. The anticipation was more than I could bear, the taste bomb that this delivers is almost beyond description. It’s a warming boozy full mouthfeel of glorious sensations, and I’m not making this up to hat-tip the award, the last year version was amazing too. The heat you get that the back from the alcohol hit isn’t uncomfortable and sits atop that rich smooth body of full flavoured that makes it something to relish and not flinch at, a magnificent counterpoint to the smoothness, the iron hand in the velvet glove. Can’t believe I was about to open this as the winner of the poll was announced. I have to confess that my entries were somewhat more left field and perhaps eclectic, with an IPL on my list, nothing wrong wth an IPL though, and I’m pleased that whist some of the beers weren’t on my list all the beers listed were magnificent and worthy. The pdubyah-o-meter rates this as 10 of its things from the thing. It’d be hard to be as fullsome and wordy about the beer then justify why is wasn’t one that you’d want everyone to try, This is a rare 10 on the pdubyah-o-meter, particularly the 2018 year where I was sidetracked for most all of it. Am I enjoying it? A Sipping beer if ever there was one, this is a properly nice drink. Would I have another? Yes, but I think it’s going to be hard to find. Would I share with a friend on a porch and set the world to rights? Yes. This is a joyous moment that works at the beginning of the night to remind you that everything else might b busy work, or at the end of the night to prove that however good it was this is just better. 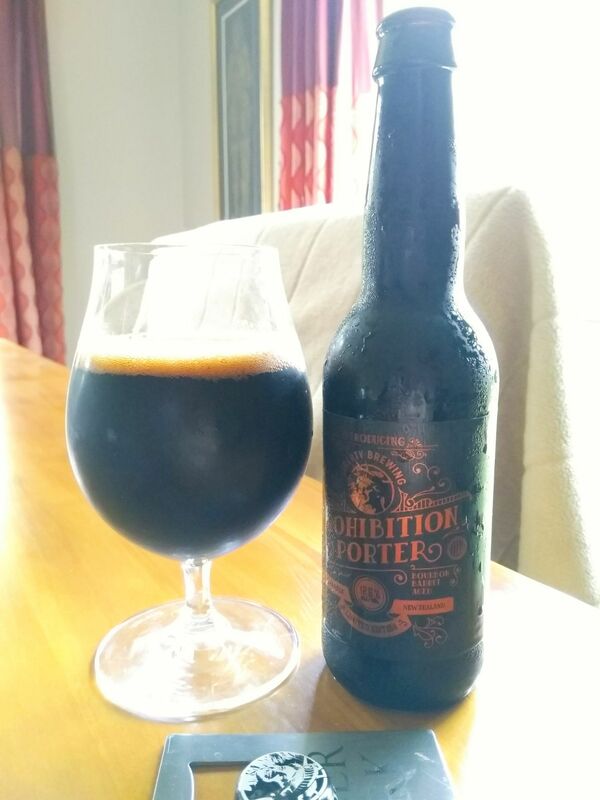 This entry was posted on December 31, 2018 by Philip Walter in Beer, Beer of New Zealand, Beer Review, Brewed By, Craft Beer, Critic, Liberty Brewing, Porter and tagged Liberty Brewing, Liberty Prohibition Porter, Prohibition Porter.